Notice that my plot range for x and y starts from zero but given that I've Log-ed all the axes, the x and y axes both starts at 1 on the density plot. I presume this is because Mathematica can't take the Log of zero. It is crucial for me to show the density at the origin. How should I go about doing this in a proper way? 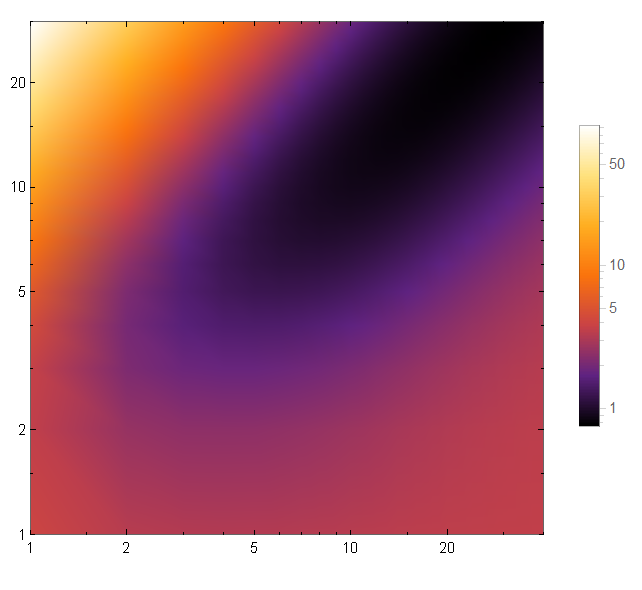 Edit: I've tried starting g1 and g2 from 0.01 instead of 0 but the default step size is 1 so doing this shows an inhomogeneous disconnect in density colors going from 0.01 to 1. Increasing the step size to 0.01 becomes intractably long for my computer since it is a Table with two-loops and the process is computationally expensive. How should I go about doing this? Not the answer you're looking for? Browse other questions tagged plotting list-manipulation logarithmic-scale or ask your own question. How do I control the spacing and font size for my plot legend? 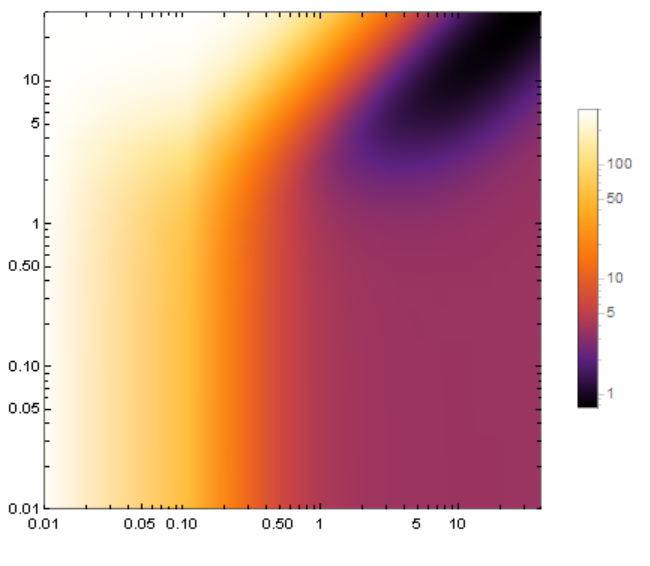 How to force Mathematica to plot the function near zero?